Rabbi at Frankfort-on-the-Main; died thereSept. 8, 1817. He succeeded his father in the rabbinate of Frankfort in 1805. He was the author of the following works: "Maḥaneh Lewi," halakic novellœ, Offenbach, 1801; "Laḥme Todah," supplementing and completing the preceding work, ib. 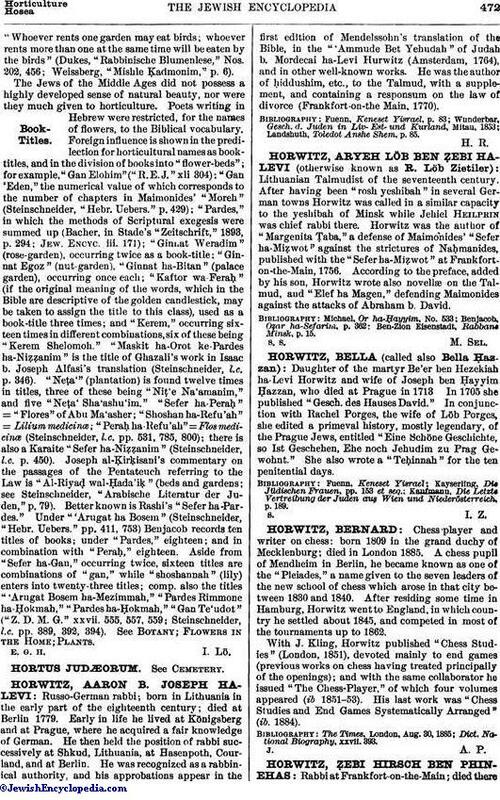 1816; novellœ on Talmudical treatises in his father's "Ketubah," ib. 1887. 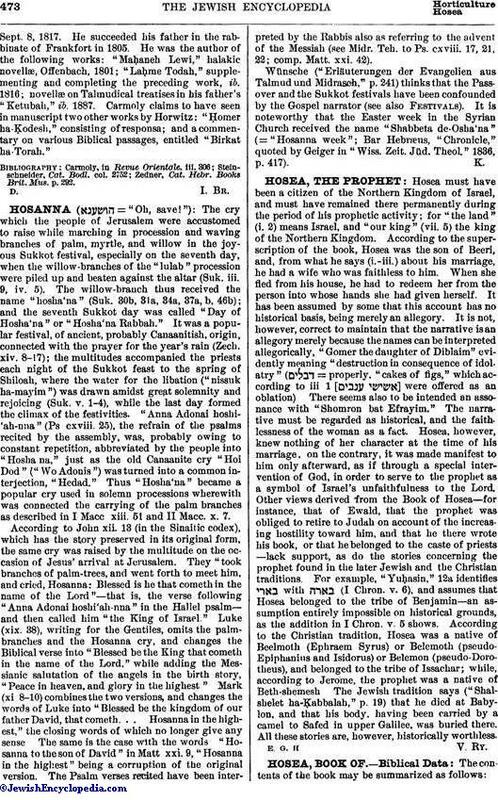 Carmoly claims to have seen in manuscript two other works by Horwitz; "Ḥomer ha-Ḳodesh," consisting of responsa; and a commentary on various Biblical passages, entitled "Birkat ha-Torah." Zedner, Cat. Hebr. Books Brit. Mus. p. 292.